The Stand Up Guys Junk Removal Crew cover all of Dunedin and all the surrounding cities. We offer full junk removal service to all the residents and businesses of Dunedin. The Stand Up Guys will remove, clean and haul any and all types of junk and debris in Dunedin as well. You wont find better customer service, value or care in all of Dunedin than you will with The Stand Up Guys Junk Removal Crew. 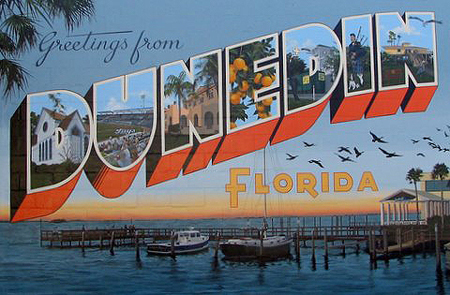 Dunedin is a beautiful city in side of Pinellas County with well over 35,000 happy residents. Dunedin is home to many awesome beaches and even Caladesi Island State Park, which is consistently rated as one of the best beaches in the entire world. Dunedin is one of the only cities along the coast of the Gulf that doesn’t completely obstruct your view of the water with buildings along the coast. There are plenty of places in Dunedin where you can drive and see the beaches and out into the Gulf. There are countless reasons to live, work or play in Dunedin. It’s just that nice of a town, but one of the best perks to working or living in Dunedin is that you have access to one of the best junk removal companies on the map. Yeap, you guessed it, The Stand Up Guys Junk Removal Crew. The Stand Up Guys cover all of Dunedin from The Florida Auto Exchange Stadium to Schiller International University and everywhere in between. There isn’t anywhere in Dunedin that The Stand Up Guys wont travel. We cover all of Dunedin from our central office at Stand Up Guys Junk Removal, 4592 Glenbrook Circle, Palm Harbor, Florida 34683. The Stand Up Guys will remove and haul any and all types of junk and debris. You name it and we’ll remove it! Whether you want to get your old junk furniture removed, outdated storage unit cleared out, or the pile of yard debris in the back yard picked up The Stand Up Guys can help. There are tons of reasons to use The Stand Up Guys Junk Removal Crew for all your hauling needs but one of the best reasons is the fact that we recycle and or donate more than 60% of the items that we remove back into the community. This means that when you hire The Stand Up Guys you can have peace of mind that your old items will find the right home. Pick up the phone and give us a call today at 813-512-0480 and get that junk removed from your home and from your life once and for all. You can count on Dunedin’s Favorite Junk Removal Crew!